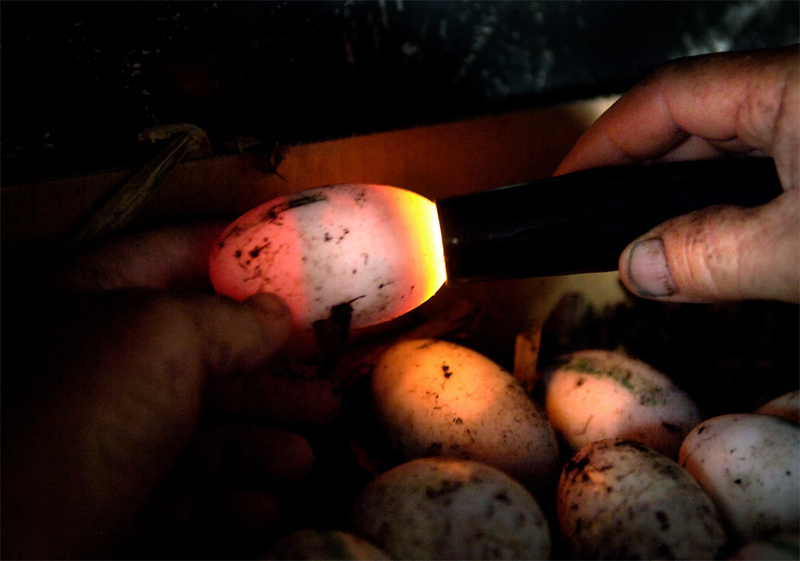 Alligator farmer Tracy Howell uses a flashlight to "candle" the eggs to determine if the embryo is still intact and the alligator is still alive. Every egg collected for the day is inspected, looking for the distinct band inside the egg to make this determination. The farmers pay $10 per egg in collection costs that cover the state's expenses.